Daimler, reeling from allegations of decades-long collusion with other German automakers, reported a 15 percent rise in second-quarter profit as its Mercedes-Benz luxury brand delivered another double-digit boost to revenue. Earnings before interest and taxes (EBIT) climbed to 3.75 billion euros ($4.4 billion) from 3.26 billion euros a year earlier, the company said Wednesday in a statement. Booming sales of the new Mercedes cars helped to lift margins in the autos business to 10.2 percent from 6.4 percent in the year-earlier period, mainly thanks to sales of a new E class. Mercedes cars sold 595,200 automobiles in the first half thanks to a 28 percent rise in demand in China, with demand in Germany only moderately higher. Daimler reiterated forecasts that full-year EBIT and revenue will increase significantly. It lifted the outlook for its trucks and vans divisions, saying it now expected EBIT to reach prior-year levels for both businesses. It had earlier forecast Vans and Buses to post EBIT below year-earlier levels. Daimler Trucks outlined plans in April to reduce fixed costs by 400 million euros, in part through employee buyouts to cut the workforce. The project will result in 500 million euros in spending this year and next. First-half research and development costs jumped 19 percent as the automaker gears up to bring out battery-powered autos. Daimler said in March that it will release 10 new electric vehicles by 2022, three years earlier than a previous target, and its working to adapt an engine plant to produce batteries. Any positive boost from buyers flocking to Mercedes’s new suite of sporty models is likely to be overshadowed by this month's revelation that regulators are looking at whether decades of technology talks among German auto manufacturers constitute an antitrust violation. The claims have opened another set of challenges, which also include the threat of diesel driving bans, industrywide recalls rooted in Volkswagen Group's emissions-cheating scandal and heavy investment burdens to develop electric vehicles. Daimler said a week ago that it will recall 3 million autos to fix exhaust-system software, booking the costs in the third quarter. Carmakers’ shares have dropped since Spiegel magazine reported Friday that Daimler and Volkswagen informed authorities last year of discussions since the 1990s that also included BMW. Over the weekend, the European Union’s antitrust overseer confirmed it’s studying possible collusion among automakers. The automakers could face fines ranging from several hundred million to a low billion euros, according to Evercore ISI. While they have declined to comment on the allegations, Volkswagen and Daimler’s disclosure to regulators reportedly could help the companies reduce penalties or escape them entirely. BMW said industry talks involved setting up infrastructure for refilling an exhaust-treatment fluid. Volkswagen, which is scheduled to report quarterly earnings Thursday, is convening an extraordinary supervisory board meeting Wednesday after worker representatives demanded an explanation about carmakers’ discussions. Employees are a powerful presence in major German companies as they hold half the seats on supervisory boards. 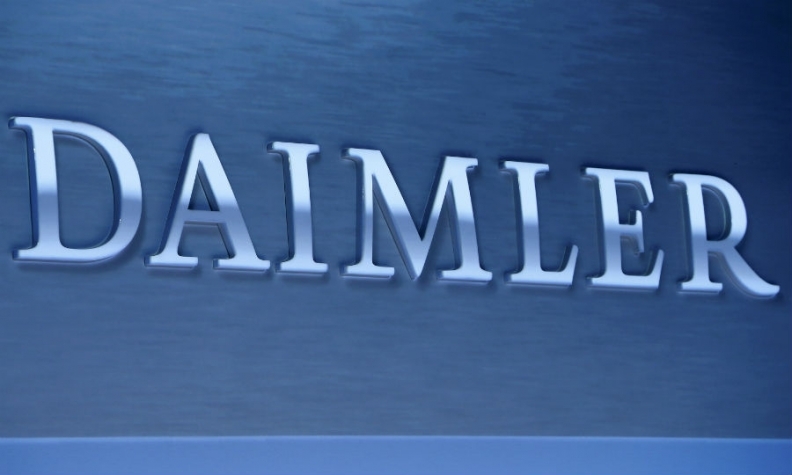 Daimler’s labor leaders have also demanded that the carmaker come clean on the allegations.